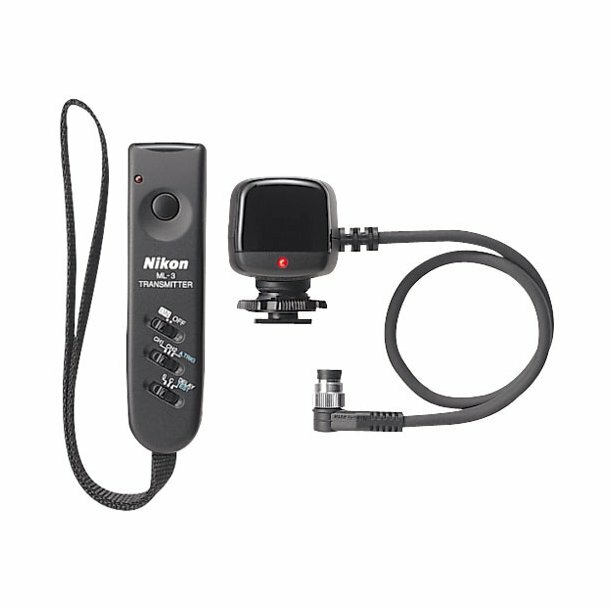 Features include auto-triggering and delayed shutter release, as well as single and continuous shooting. The ML-3 offers remote control of two separate channels via an infrared LED beam to enable automatic camera operation from a distance of about 26 ft. The ML-3 can also fire the camera remotely when a subject moves between the transmitter and receiver, for example, in surveillance or wildlife photography.